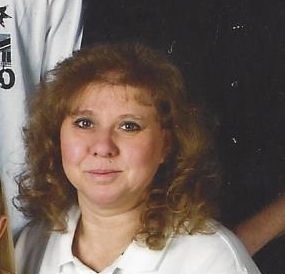 Lisa Ann Reid (Jensen) age 48 of Kalispell, departed this life Sep 12th, 2018. Born in Salt Lake City, Utah. She was the second born daughter of Kay Jensen and Catherine Bringhurst. She was the widow of Rick Reid. They shared 11 years of marriage together. She is survived by her mother Catherine (Steve), three sons Chris, Tyler & Brandon, four grandchildren Aarikah, Anika, Aevian, Kaias brother Justin (Sarah) sister Jacki, five nephews and one niece. She was predeceased by her Father Kay, Sister Trudi & Husband Rick. She was a proud and beloved employee of JOANN Fabrics. Lisa enjoyed painting, writing, making blankets and crocheting. She will be remembered for being the most amazing and loving mother, daughter, sister and grandmother, you could ever dream of. She was dedicated to her family and friends, her kindness, giving nature, and dedication can never be replaced. Her greatest pleasure and source of pride are her children and grandchildren. She was so proud of her sons and loved spoiling her grandchildren and watching them grow. Graveside service will be held on Tuesday Sep 18, 2018 at 2:00 at Spring Creek Cemetery 1118 W Valley Drive Kalispell MT 59901 Flowers may be sent to Buffalo Hill Funeral Home and condolences to www.buffalohillfh.com Buffalo Hill Funeral Home is caring for the family.